Construction status- Designed and built in the INFN lab in Pavia, Italy, from the late 1990s, then transferred to the INFN Underground Laboratory at Gran Sasso Laboratory, Italy, where it began operating in 2010. Traveled to CERN for refurbishment in 2014. Arrived at Fermilab in July 2017; currently under installation. Aims to start taking data in 2018. Fermilab is ICARUS detector’s second home. From 2010 to 2014, the Italian National Institute for Nuclear Physics’ Gran Sasso laboratory built and operated ICARUS to study neutrinos using a neutrino beam sent straight through the Earth’s mantle from CERN in Switzerland, about 600 miles away. ICARUS’ lead scientist, Nobel laureate Carlo Rubbia, innovated the use of liquid argon to detect neutrinos. Fermilab’s Short-Baseline Neutrino Program involves three neutrino detectors. 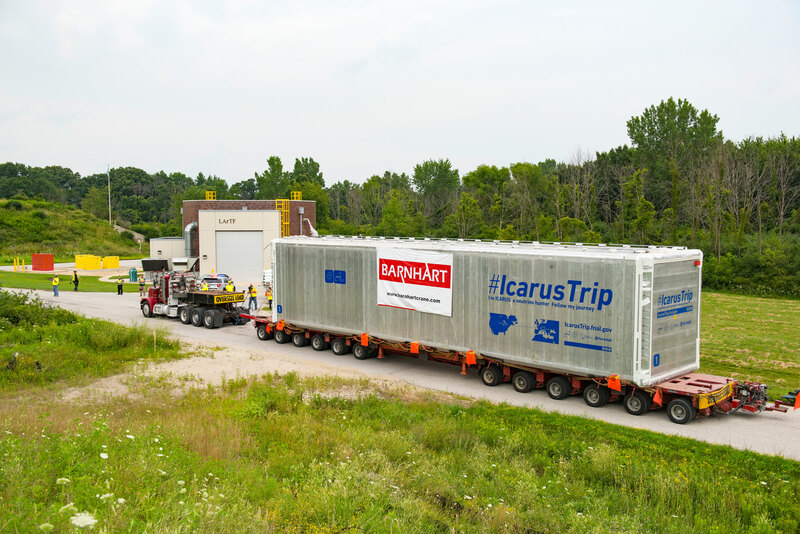 ICARUS is one, and now that it has safely landed at Fermilab, it will be installed as part of the program. Another detector, MicroBooNE, has been in operation since 2015. The construction of the third, called the Short-Baseline Near Detector, is in progress. All three use liquid argon to detect the elusive neutrino. The development and use of liquid-argon technology for the three detectors will be further wielded for Fermilab’s new flagship experiment, the Deep Underground Neutrino Experiment. 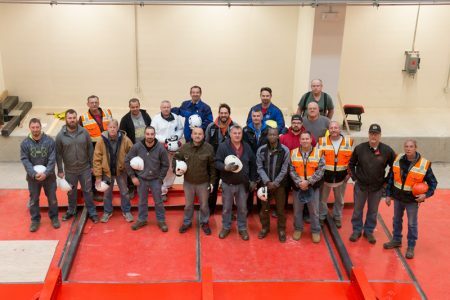 Fermilab and South Dakota’s Sanford Underground Research Laboratory broke ground on the new experiment on July 21. The world’s largest particle hunter of its kind will travel across the ocean from CERN to Fermilab this summer to become an integral part of neutrino research in the United States. It’s lived in two different countries, and it’s about to make its way to a third. It’s the largest machine of its kind, designed to find extremely elusive particles and tell us more about them. Its pioneering technology is the blueprint for some of the most advanced science experiments in the world. 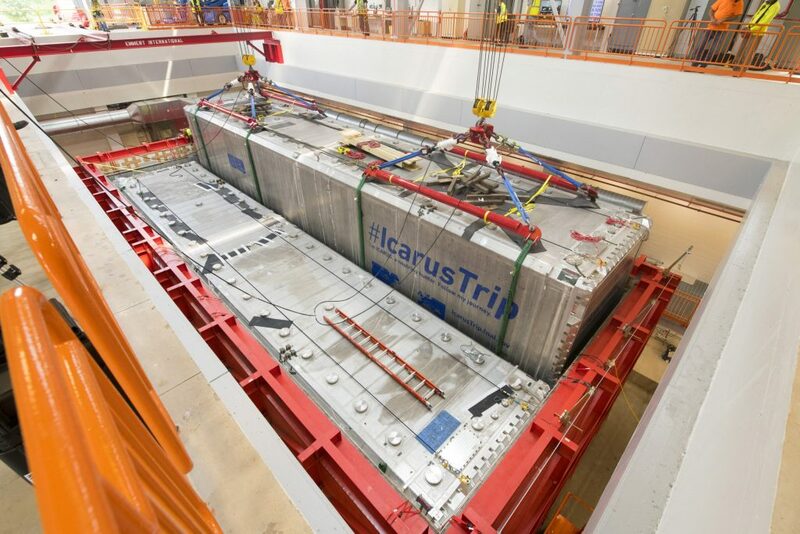 And this summer, it will travel across the Atlantic Ocean to its new home (and its new mission) at the U.S. Department of Energy’s Fermi National Accelerator Laboratory. It’s called ICARUS, and you can follow its journey over land and sea with the help of an interactive map on Fermilab’s website. The ICARUS detector measures 18 meters (60 feet) long and weighs 120 tons. It began its scientific life under a mountain at the Italian National Institute for Nuclear Physics’ (INFN) Gran Sasso National Laboratory in 2010, recording data from a beam of particles called neutrinos sent by CERN, Europe’s premier particle physics laboratory. The detector was shipped to CERN in 2014, where it has been upgraded and refurbished in preparation for its overseas trek. 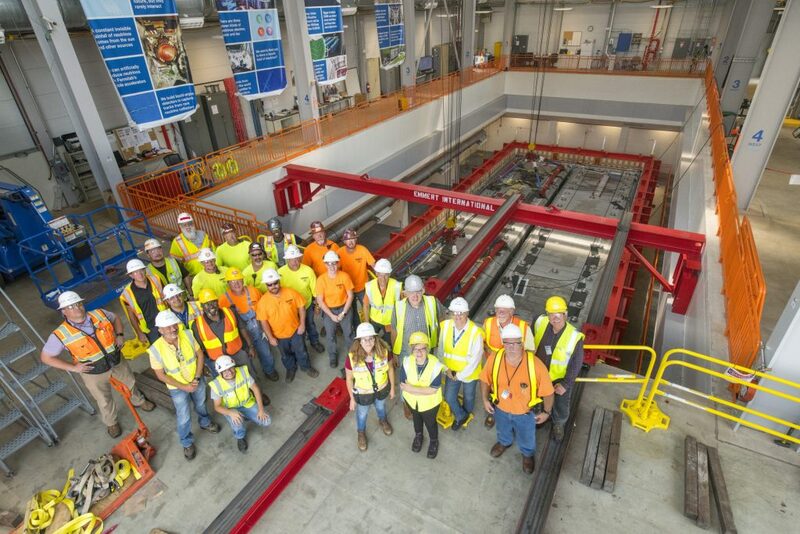 When it arrives at Fermilab, the massive machine will take its place as part of a suite of three detectors dedicated to searching for a new type of neutrino beyond the three that have been found. Discovering this so-called “sterile” neutrino, should it exist, would rewrite scientists’ picture of the universe and the particles that make it up. First, however, the detector has to get there. Next week it will begin its journey from CERN in Geneva, Switzerland, to a port in Antwerp, Belgium. From there the detector, separated into two identical pieces, will travel on a ship to Burns Harbor, Indiana, in the United States, and from there will be driven by truck to Fermilab, one piece at a time. The full trip is expected to take roughly six weeks. 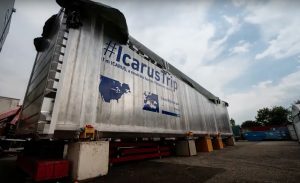 An interactive map on Fermilab’s website (IcarusTrip.fnal.gov) will track the voyage of the ICARUS detector, and Fermilab, CERN and INFN social media channels will document the trip using the hashtag #IcarusTrip. The detector itself will sport a distinctive banner, and members of the public are encouraged to snap photos of it and post them on social media. Once the ICARUS detector is delivered to Fermilab, it will be installed in a recently completed building and filled with 760 tons of pure liquid argon to start the search for sterile neutrinos. The ICARUS experiment is a prime example of the international nature of particle physics and the mutually beneficial cooperation that exists between the world’s physics laboratories. The detector uses liquid-argon time projection technology – essentially a method of taking a 3-D snapshot of the particles produced when a neutrino interacts with an argon atom – which was developed by the ICARUS collaboration and now is the technology of choice for the international Deep Underground Neutrino Experiment (DUNE), which will be hosted by Fermilab. 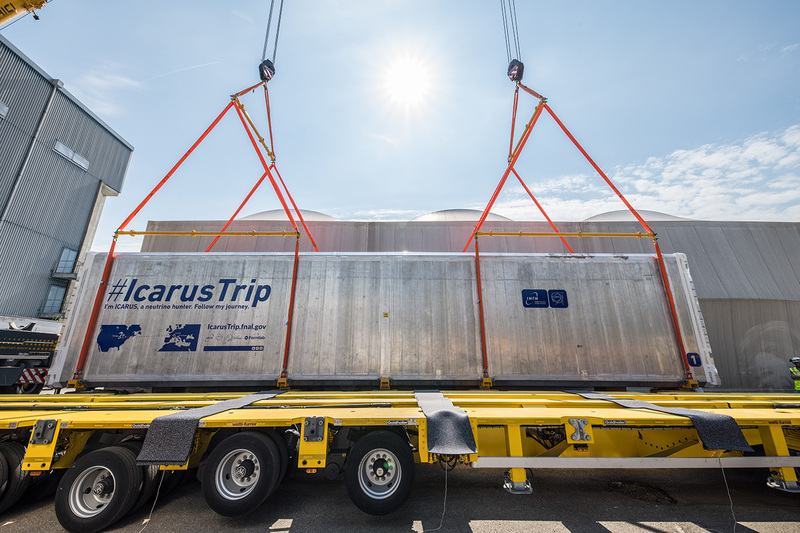 CERN’s contribution to ICARUS, bringing the detector in line with the latest technology, expands the renowned European laboratory’s participation in Fermilab’s neutrino program. It’s the first such program CERN has contributed to in the United States. 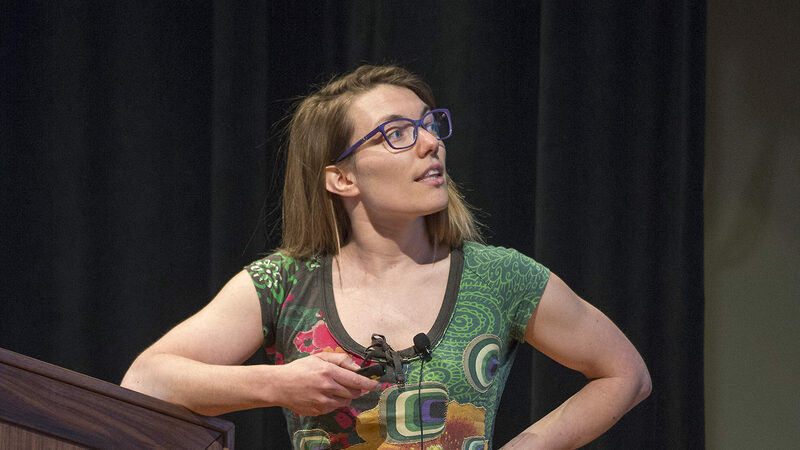 Fermilab is the hub of U.S. participation in the CMS experiment on CERN’s Large Hadron Collider, and the partnership between the laboratories has never been stronger. 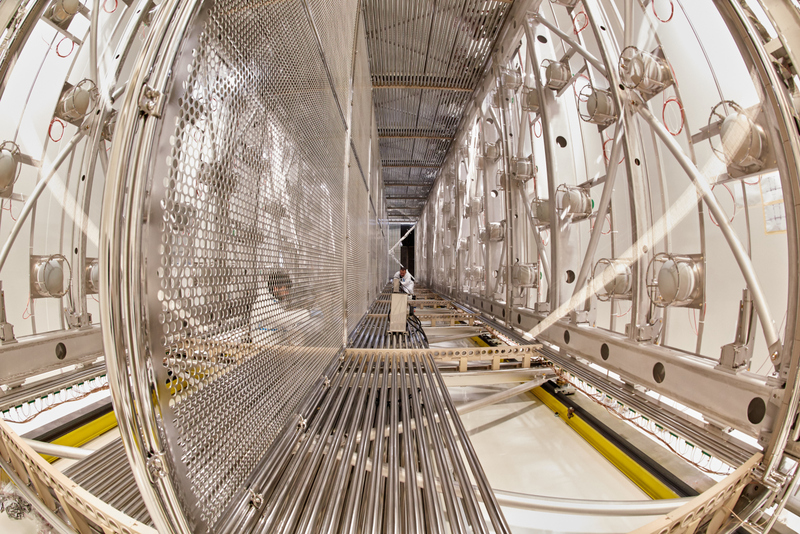 ICARUS will be the largest of three liquid-argon neutrino detectors at Fermilab seeking sterile neutrinos. The smallest, MicroBooNE, is active and has been taking data for more than a year, while the third, the Short-Baseline Neutrino Detector, is under construction. The three detectors should all be operational by 2019, and the three collaborations include scientists from 45 institutions in six countries. 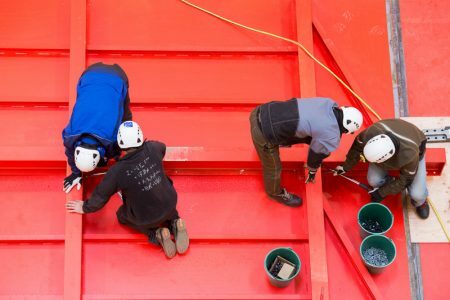 Knowledge gained by operating the suite of three detectors will be important in the development of the DUNE experiment, which will be the largest neutrino experiment ever constructed. The international Long-Baseline Neutrino Facility (LBNF) will deliver an intense beam of neutrinos to DUNE, sending the particles 800 miles through Earth from Fermilab to the large, mile-deep detector at the Sanford Underground Research Facility in South Dakota. DUNE will enable a new era of precision neutrino science and may revolutionize our understanding of these particles and their role in the universe. Research and development on the experiment is under way, with prototype DUNE detectors under construction at CERN, and construction on LBNF is set to begin in South Dakota this year. A study by Anderson Economic Group, LLC, commissioned by Fermi Research Alliance LLC, which manages the laboratory on behalf of DOE, predicts significant positive impact from the project on economic output and jobs in South Dakota and elsewhere. This research is supported by the DOE Office of Science, CERN and INFN, in partnership with institutions around the world. Follow the overseas journey of the ICARUS detector at IcarusTrip.fnal.gov. Follow the social media campaign on Facebook and Twitter using the hashtag #IcarusTrip.